While the Coconut oil craze is still in full force, it's hardly surprising that we'd want to share those health benefits with our pets. And why not? Coconut oil aids your dogs with digestion, skin health, allergic reactions, doggy odor, joints and arthritis, and gives them a sleek, shiny coat. There's loads of health benefits for them﻿. You could simply give them coconut oil, but what fun is that? Instead we've come up with a list of the world's easiest and tastiest homemade coconut oil dog treats. Exciting right? My only recommendation is don't go too crazy, while it has many health benefits - coconut oil is high in calories, so it could lead to a little extra belly fat. And too much at once may lead to upset stomachs and diarrhea. These look good enough for humans to eat (I won't judge you). 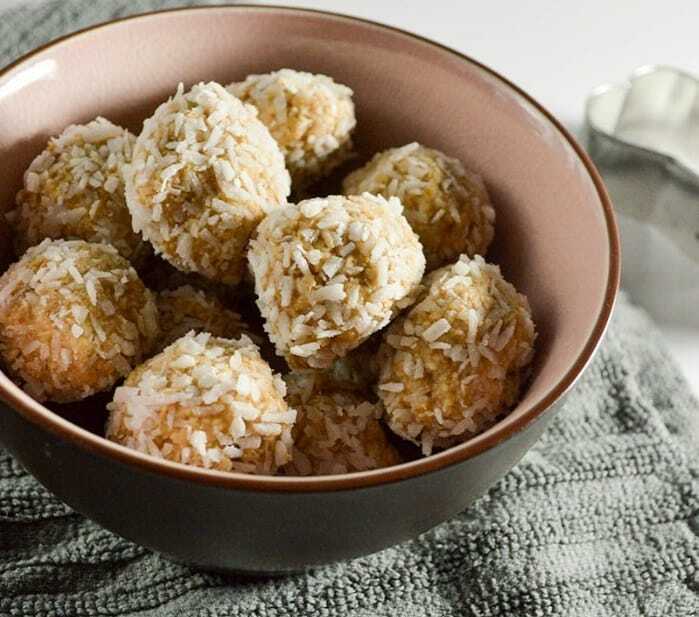 And you certainly can share because these are loaded with healthy and tasty things, like: Coconut oil, Natural Peanut Butter, Rolled Oats, and Shredded Coconut. Also no baking required! 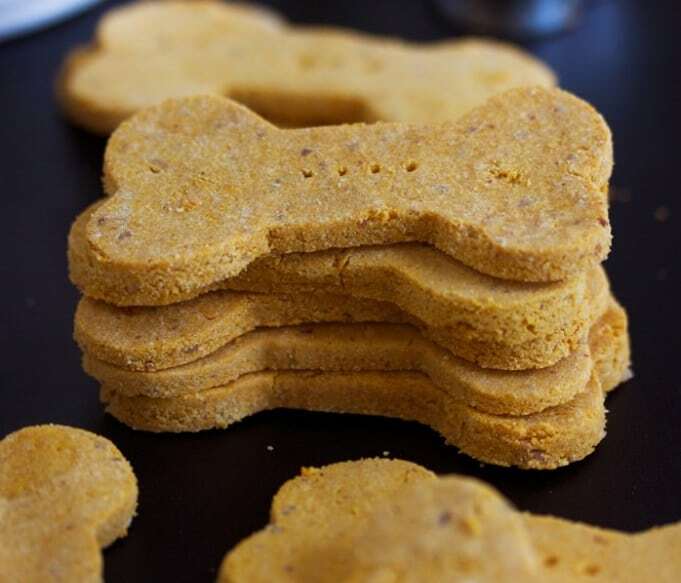 By making clever use of a silicon tray, and some of your dogs favorite ingredients (bananas, coconut oil, and peanut butter), Mandi has created some fantastic little frozen treats. These are perfect for summer and cooling down. Another take on a frozen treats, these are a little more simple and elegant - by using some frozen coconut oil with a blueberry in the center. You get all the anti-oxidants of the berries, and all the benefits from the coconut oil, creating a very tasty and healthy-minded treat for your fur babies. Jax the Golden Retriever is a very lucky dog, because he has author and chef Lexi to bake him healthy cookies. These are beautiful looking baked dog treats that look good enough for a magazine. And I'm sure your dogs will appreciate the presentation. So if you're looking to impress the neighborhood canines - this is the right recipe. Maybe your dog prefers something a little more soft and chewy? How about some baked sweet potato cookies? My dog loves these, and due to his allergies we are somewhat limited on what we can feed. Thankfully, sweet potatoes and coconuts are still on the menu, and a very healthy alternative. They say simple is better - and if you're looking at supplementing your dog with some coconut oil without getting too fancy, then this is the recipe for you. Simply lob coconut oil on a sheet and freeze. Done! Having premeasured frozen coconut treats makes it very easy to supplement your dog on a daily basis. Another simple yet beautiful looking treat, this recipe only uses 3 ingredients and about 15 minutes of your time. 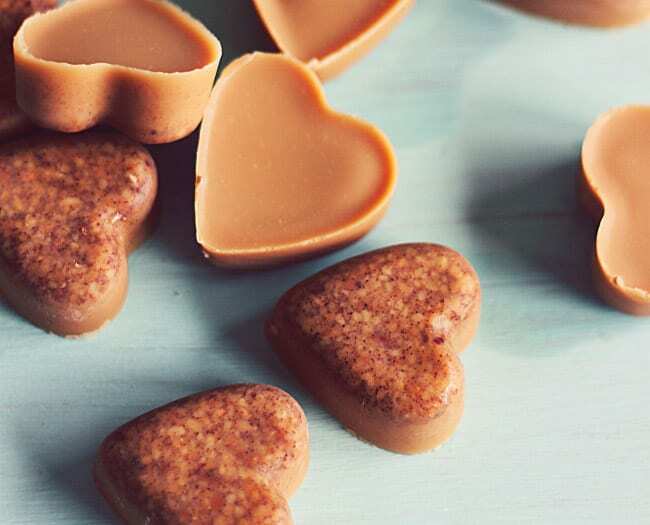 Coconut oil, Peanut Butter, and a touch of Cinnamon - I won't blame you for sneaking a few. Pear and Coconut cookies remove a lot of common allergens found in dog treats, which is great for dogs with sensitivities or allergies. They've made clever use of baby food (which is easy to digest) to give it some pear flavor and keep them moist, which I'm sure your dog will approve of. Can I use coconut flour in substitute fir w/wheat or oat ?